Emma House was born in 1853 in Plainfield, Coshocton County, Ohio. She was the ninth child and sixth daughter of Florus and Julia House. On October 3, 1888 she married James McKaig. It is unknown if there were children born to this union or when either of them died. Nancy Elizabeth House was born in May 1855 in Plainfield, Coshocton County, Ohio. She was the tenth child and seventh daughter of Florus Allen and Julia House. She married Oscar DeLong on February 9, 1882 in Coshocton County, Ohio. He was born in December 1858 in Ohio. Nine children were born to this union. John F. House was born August 21, 1857 in Plainfield, Coshocton County, Ohio and died at the age of six on September 21, 1863. Eva A. House was born about 1864 in Ohio, the oldest child of William R. House and Margaret Davis. She married John F. Corder on September 13, 1893 in Coshocton County, Ohio. Edward F. House was born December 17, 1866 in Ohio. He was the oldest child and only son of the union of James Emory House and Barbara Shryock. He married Nancy Rodgers about 1890. She was born in June 1860 in Ohio. One known child was born to this union. Belle D. House was born on April 23, 1868 in Ohio. 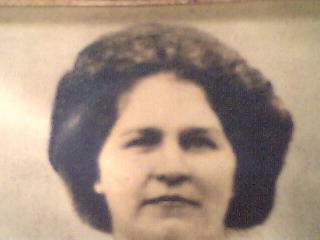 She was the second child born of the union of James Emory House and Barbara Shryock. She married Thomas W. Ruby about 1886. He was born in August 1864 in Ohio. The family is found living in Coshocton County in the 1900 Census. Six known children were born to this union. It is unknown when Belle and Thomas died. 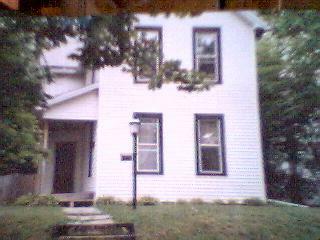 Lucina (Cina) House was born on September 13, 1869 in Coshocton County, Ohio. She married John A. (Allen) Conger on January 4, 1888 probably in Coshocton County. Five known children were born to this marriage. Cina died on August 19, 1937 in Coshocton County, Ohio. Florus A. House was born April 21, 1873 in Coshocton County, Ohio. He was the first born child of James Emory House and Francis V. Ogan - born one month prior to their marriage. He served in the Spanish-American War. On July 26, 1899 he married Emma Caroline Stacer. She was born June 4, 1879 in Coshocton County, Ohio. Eight children were born to this union including a set of twins; one died in infancy. Florus was in a mining accident while he was a coal miner in Ohio. He died July 10, 1941 in Coshocton and Emma died December 12, 1965 in Akron, Ohio. Both are buried in Prairie Chapel Cemetery in Coshocton County. "Florus was my mother's brother and he was a real brother, not half brother." "I told my dad about what you said about Florus and the mining accident and he told me that his father was also in the same shaft collapse and it was Florus who dug him out, he nearly died and spent about a month in the hospital and would never go near the mines again. He was ninteen at the time and had just married my grandmother." Julia Ann House was born on September 20, 1880 in Coshocton County, Ohio. She was the first daughter of James and Francis. She graduated from Roscoe School (Normal Department) on May 16, 1901. The commencement services were held at the M.E. Church. Six students were in the class (Clara M. Ridgway, Mary Alice Gibson, Julia House, Pearl Smith, Theodore A. Ryser, and Walter W. Bechtol). Julia had two prominent parts in the graduation exercises. She gave an oration "He'll shape his old course in a Country New" and a song "Class History". Julia married Percy J. Tuttle on Christmas Day 1906. Julia died in childbirth in 1907 and is buried at Prairie Chapel Cemetery in Coshocton County, Ohio. "Her name was on the program twice (graduation program) so she must have been smart. She died young in childbirth. I have never found out if the baby survived, but never hearing about it, I presume he didn't. I guess she was dead before I was born because I never remember seeing her. . ."
Ella Maria House was born June 22, 1882 in Coshocton County, Ohio. She met Lloyd William Amore and the two were married on April 11, 1903 in the Presbyterian Manse in Coshocton. The couple made their residence in an apartment that was located above Roscoe Hardware Store in Roscoe Village. Some of their first children were born there. They moved out off West Lafayette Road where they lived until about 1925. This was where Ella was living when her father, James, stayed with them prior to and up until his death in 1924. The next residence was at 1326 E. Vine Street in Coshocton. One of their grandchildren was born in an upstairs bedroom of this house. Other residences included: S. 6th Street, S. 5th Street, E. Elm Street and John Street. 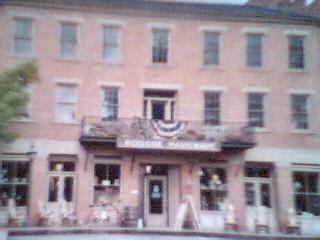 Ella worked at the Coshocton Glove Company located on South Fifth Street. She was very active in the work of the Nazarene Church that she belonged to. The couple had eight children but their last child - a daughter - died at birth. Ella passed away from breast cancer on July 3, 1946 and was buried in Prairie Chapel Cemetery. Lloyd died on February 25, 1955 from uremic poisoning and was buried next to Ella. Harvey J. House was born May 28, 1900 in Coshocton County, Ohio. He married Mary Evelyn Finnell on February 5, 1921 in Coshocton County. She was born in Coshocton County on April 11, 1901. Five children were born to this union. Harvey died on August 22, 1955 in Ohio and Mary died August 24, 1966 in Willoughby, Lake County, Ohio. Information on this page is meant to be shared as part of "Free Genealogy Information" - however you may not take this information to put on web sites or any media that is business or will make a profit. This information is NOT allowed to be sold.